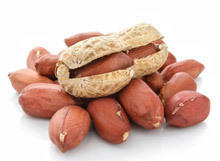 Peanuts (Arachis hypogaea) are actually legumes, such as peas, lentils and beans. They grow in a unique way. They begin their growth as a flower regrowth above ground, which later because its weight is dug in and begins to grow into the soil. This is where the growth of peanuts starts. There are different kinds of peanuts, but most common in stores are Virginia peanuts and Spanish Valencia ones. Due to its high content of protein and rich chemical profile, peanuts are processed and make various products, such as peanut butter, peanut flour, oil, etc.. Peanuts originated in South America, where there were thousands of years. Peanuts also played an important role in the diet of the Aztecs and other native Indians in South America and Mexico. Spanish and Portuguese explorers who discovered the New World saw growing peanuts, then brought them to Africa, from where it spread to other parts of the world. Today's leading producers of peanuts are India, China, Nigeria, Indonesia and the United States. 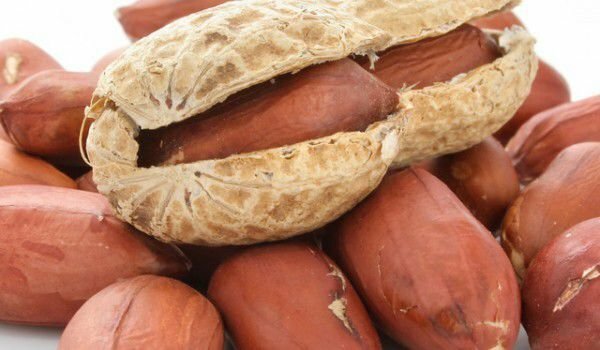 Peanuts are very rich in vitamins of the B group, especially B1, B3 and B9; when raw, they are a valuable source of magnesium, iron and phosphorus, zinc and potassium. Peanuts contain resveratrol - a natural antibiotic that some plants produce to protect themselves from bacteria and fungi. Peanuts have a very low glycemic index and low glycemic load factor - 1, which means that the carbohydrates in them are very slowly digested to glucose, and it is necessary to consume a large amount of them to increase your insulin. 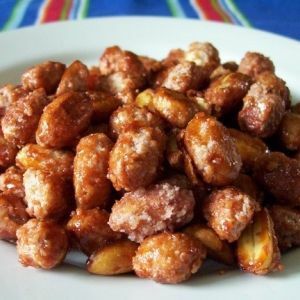 In 100 g of peanuts, there is 26.77 g carbohydrates, 45.97 g fat and 21.35 g protein. - If you buy packaged peanuts, check whether the package is hermetically sealed to ensure that no traces of moisture have entered. - If possible, smell the peanuts to make sure that they did not spoil. 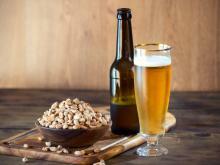 - Oiled peanuts should be placed immediately in a refrigerator after they have been opened. Peanuts are susceptible to rapid deterioration because they contain fungi, which in this initial phase is unfortunately invisible to the human eye. So while choosing them, you should do it with caution and only buy peanuts with a clearly established origin. Raw peanuts must be stored in the refrigerator. If still in their velvet sheath, they can last refrigerated up to nine months. Raw shelled peanuts withstand three times less time. Frozen, they last up to half a year. Roasted peanuts are stored in a cool dry place that is completely inaccessible to insects and rodents. Peanuts can be eaten alone between meals, used to add to a number of salads, boiled ones are used in vegetable dishes or Strained as puree. Peanuts are used in many sweets and desserts. From peanuts, you can make peanut flour, peanut oil and peanut butter. Comminuted large seeds of peanuts are used for sprinkling sweet and savory baked goods. 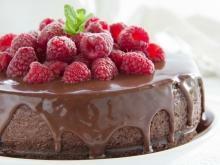 In culinary uses, peanuts sometimes substitute hazelnuts and almonds for making confectionery. 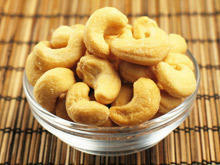 - Peanuts are extremely beneficial for the heart. Peanuts are rich in monounsaturated fat - the type of fat prevalent in the healthy diet of the people of the Mediterranean regions. 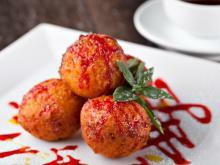 Furthermore, these nuts are a rich source of vitamin E, niacin, folate, protein and manganese. 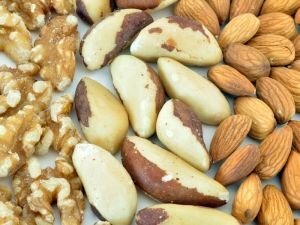 In a study involving more than 86, 000 women, it was found that nuts lower the risk of cardiovascular disease. 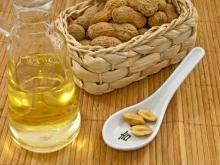 - Peanuts act as an antioxidant. They not only contain oleic acid - a healthy acid contained in olive oil, but they are so rich in antioxidants, as are most fruits. 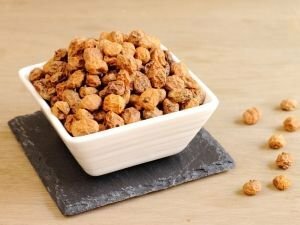 - Peanuts are the key to the health of our heart! After carrying out a variety of studies, researchers advise that to reduce the risk of cardiovascular and coronary heart disease, it is enough to take a handful of peanuts or other nuts or a spoonful of peanut butter at least four times a week. - Reduced risk of heart attack. In studies conducted on animals, it appears that due to the fact that peanuts contain in flavonoids called resveratrol, the risk of heart attack is reduced by 30% for those consuming peanuts often. 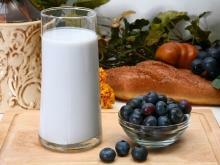 - Prevent colon cancer. Eating peanuts two or more times per week was associated with 58% lower risk of colon cancer in women and 27% men. - Protect us from Alzheimer's and other age-related problems. 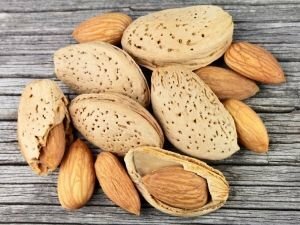 Foods containing the highest amounts of niacin (there's plenty in peanuts) are 70% less likely to let you develop Alzheimer's than those who are low in niacin. - Prevent obesity. While it is known that nuts give us a lot of cardiovascular benefits, we often avoid them because of weight worries. 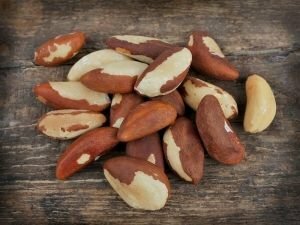 A recent study, however, turned out that people eating nuts at least twice a week are less likely to gain weight than those who did not eat nuts. 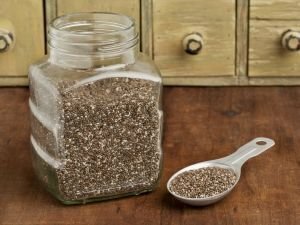 Although allergic reactions can occur in almost any type of food, it is known that certain foods are associated with more allergies than others. 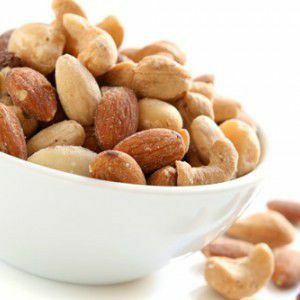 About 90% of food allergies are associated with 8 food types: tree nuts, fish, shellfish, cow's milk, hen eggs, soy products, peanuts and wheat. Peanuts are also among the few foods containing oxilates - natural substances found in plants, animals and the human body. 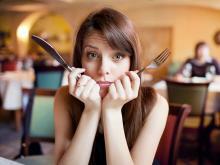 When they become too concentrated in body fluids, they can crystallize and cause some health problems. Therefore, people who have kidney or gallbladder issues should avoid intake of peanuts.